Every Sunday this March, Executive Pastry Chef Ringo Chan at The Lounge at the Four Seasons will enchant afternoon tea aficionados with an interactive tea buffet in honour of art month. Edible works of art include “Let Me Free” almond cookies with bird paintings served in a birdcage. 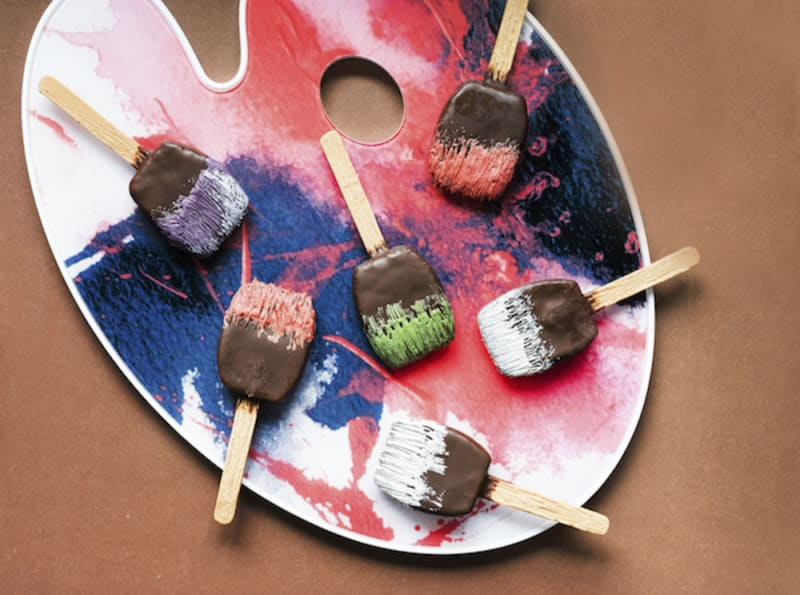 Guests can put their creativity to work with edible tubes of pastel paint to decorate the cookies. Priced at $438 per person with two seatings: 2–4pm and 4:15–6pm. 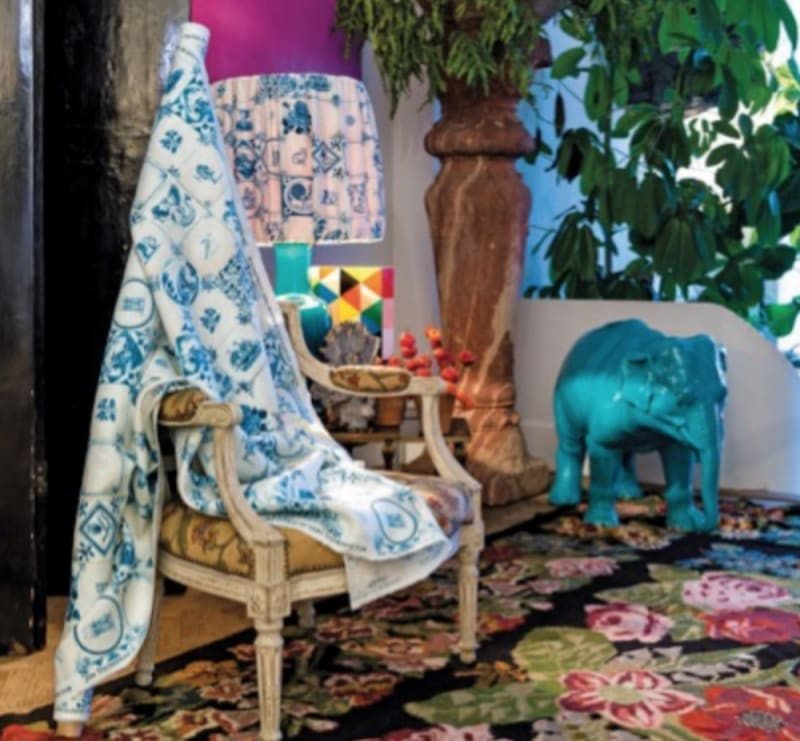 SEVVA style icon Bonnae Gokson brings the exuberance of famed Belgian interior designer Gert Voorjans’ vibrant fabrics to Hong Kong. For the month of March, the restaurant’s lounge will be transformed into a garden-themed wonderland with fabrics from Voorjan’s collaboration with Jim Thompson showcasing Asian influences. Following the March pop-up, SEVVA will temporarily close for a major revamp and reopen in autumn 2019, so get your fix of their delectable cakes now. 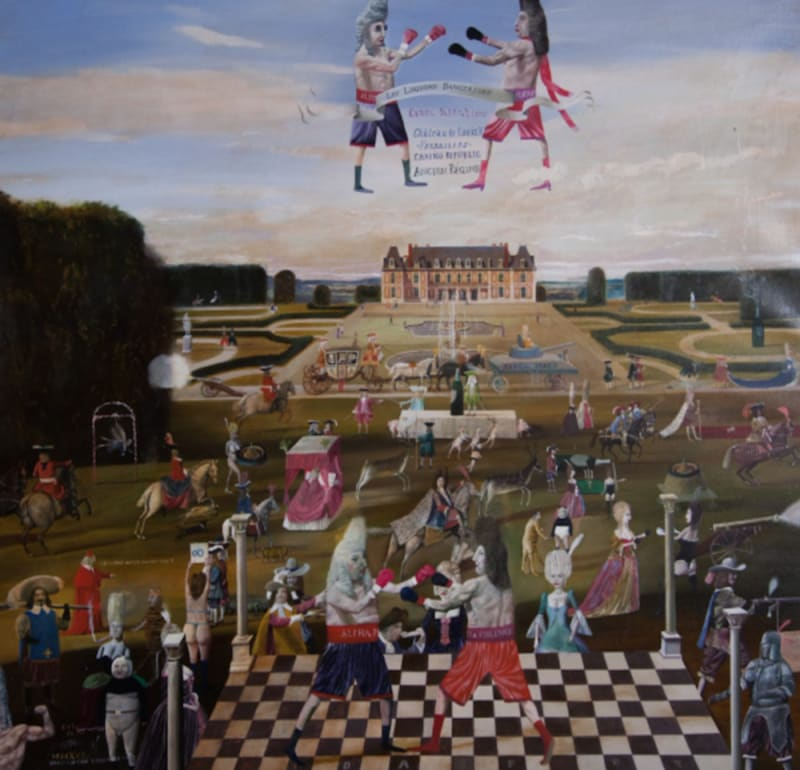 In collaboration with Russian artist Konstantin Bessmertny and CONSIGG Art Advisory, Mandarin Grill + Bar at the Mandarin Oriental will be transformed into a surrealist art gallery from 17–31 March 2019, also showcasing a four-course Palatable Art tasting menu ($1,488/person). 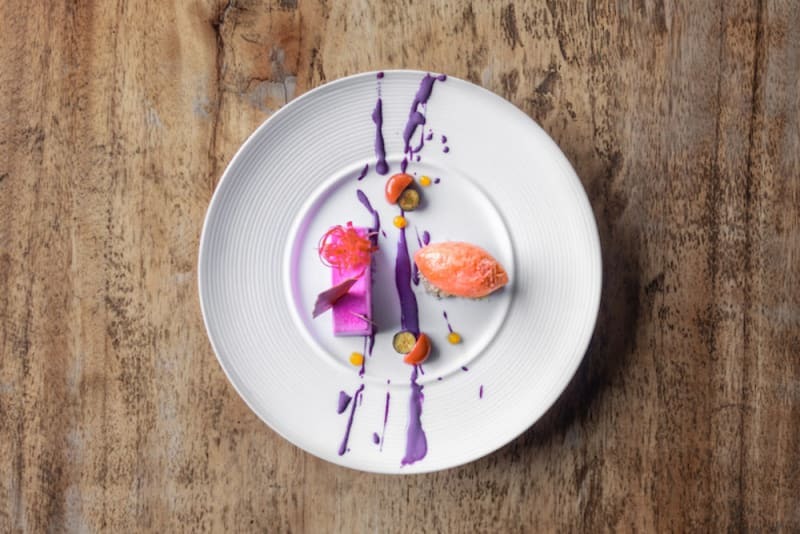 Centred around Bessmertny’s eccentric artworks of organised chaos and contemporary Asian art provided by CONSIGG, the “Go East”- themed menu created by Executive Chef Robin Zavou is inspired by the artwork of Kato Izumi, Ji Dachun and Hao Shiming cursive script. Read our review. 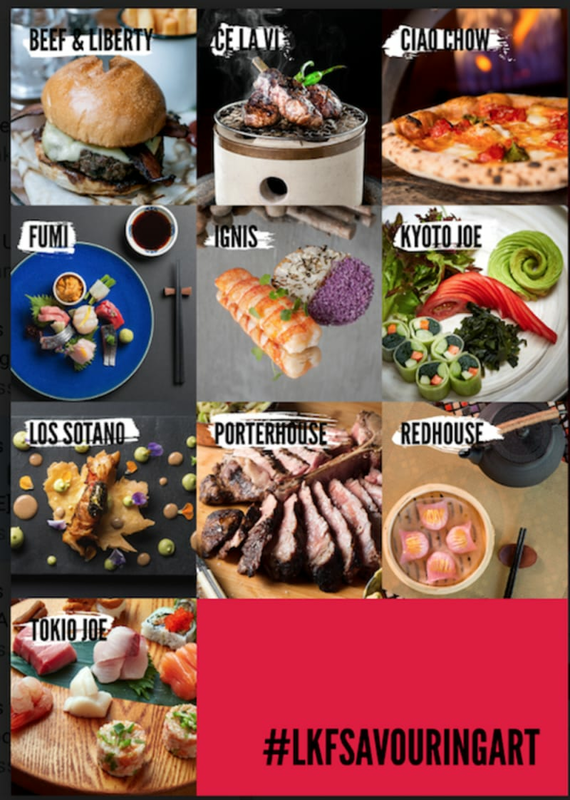 As part of Lan Kwai Fong’s Savouring Art 2019 experience, 10 partner restaurants including Beef & Liberty, CÉ LA VI, Ciao Chow, FUMI, Ignis, Kyoto Joe, Los Sotano, Porterhouse, Redhouse and Tokio Joe, will gift customers who spend over $1,000 between 25 February–22 March 2019 with two tickets to MAMI’s exclusive live performance on Friday, 22 March. Japanese calligraphy artist MAMI has credited graffiti and hip hop as influences in her unique brand of calligraphy, dubbed “calligraf2ity”. Art lovers can visit the LOFT 22 event space on the 22nd floor of California Tower before 22 March to check out her exhibit. Stylish hotel newcomer The Murray is partnering with Art Basel for the second consecutive year. This year’s ode to art comes with special room packages as well as a four-course menu on Friday, 22 March ($1,900/person; +$500/person for wine pairings) titled “A Masquerade of Art” at the hotel’s rooftop restaurant, Popinjays. 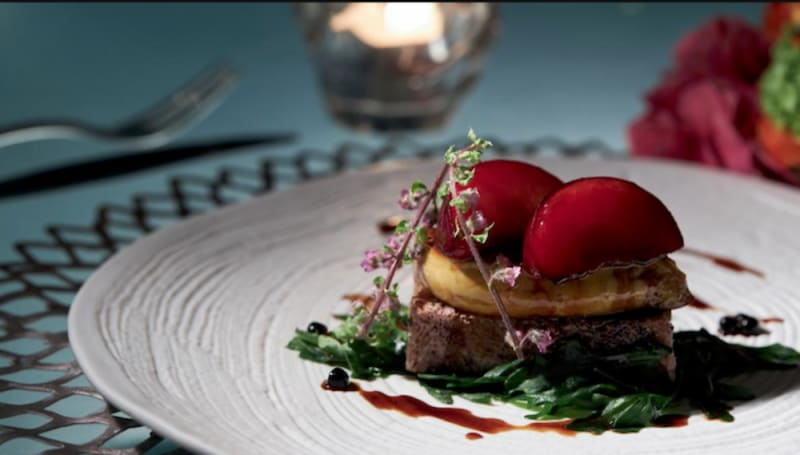 The delectable menu will include dishes such as foie gras terrine with smoked eel and squid-ink risotto with obsiblue shrimp. 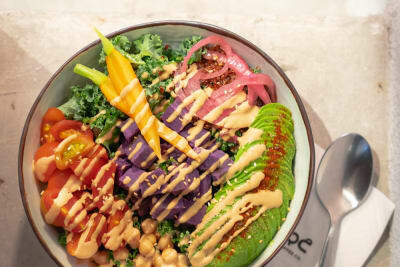 The dining room will be adorned with artwork by American graffiti artist KAWS, along with a live conceptual dance performance by Kate March and Siobhan Dumigan of I AM. The intricate bentos ($450) at Unkai Japanese Cuisine at the Sheraton may look like mosaic art, but they’re also edible! 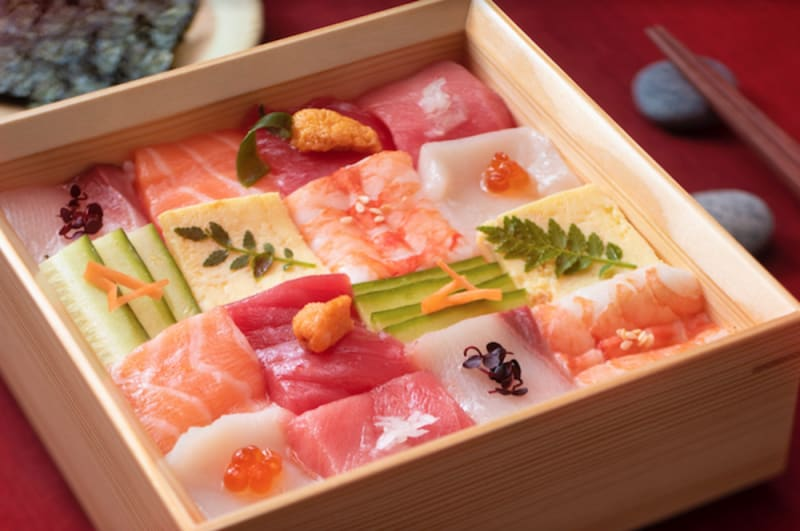 Throughout March in celebration of art month, sushi chef Oshitani Takaho dazzles diners with his knife work in making these delicate bentos with squares of tuna, sea urchin, snapper, salmon, jumbo scallop, mantis shrimp, hamachi and sweet shrimp. They include a seasonal appetiser as well as miso soup. A flurry of art events will take place this month at The Peninsula, including a dining experience at the 28th-floor bar and restaurant, Felix. 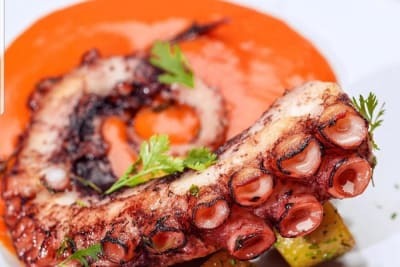 Chef de Cuisine Juan Gomez’s Five Senses Art Experience menu ($1,288/person) centres around the five senses of taste, sight, touch, sound and smell and takes diners on a gastronomic adventure against the colourful backdrop of the Hong Kong skyline. 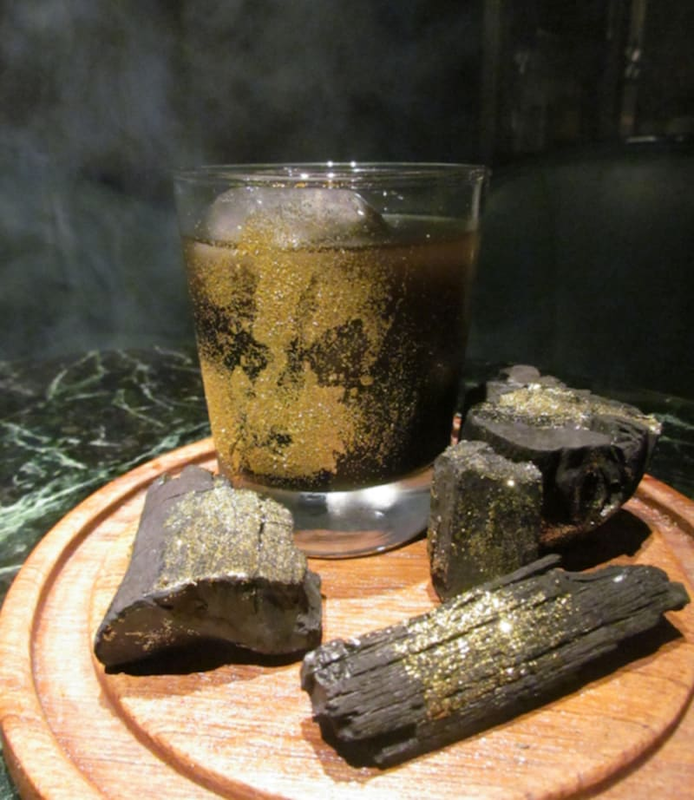 During the month of March, two speciality cocktails will make cameo appearances at Dr Fern’s. 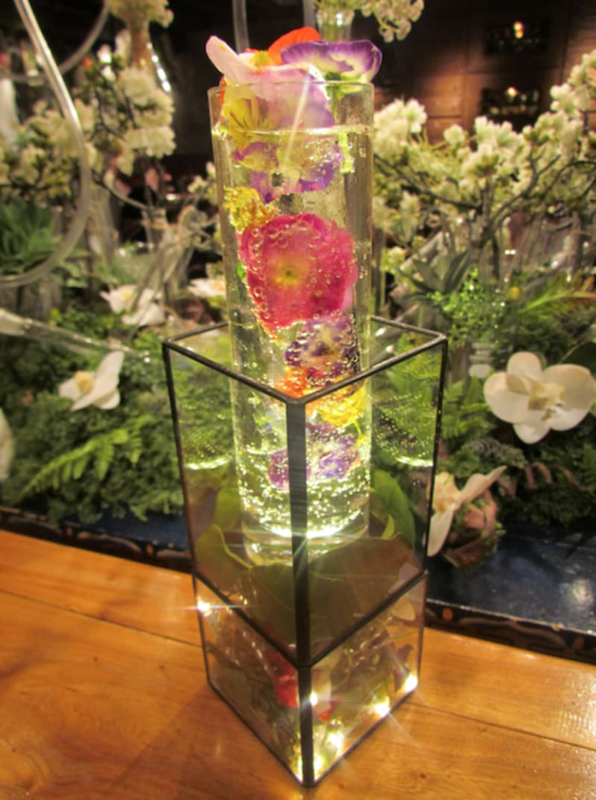 First, there’s Flowers in the Snow ($160), inspired by Robert Tracy’s painting linking flowers to the rejuvenation of the soul, a heady mix of marshmallow-infused gin, honey, cream, egg white, soda and jasmine tea. The Blossom ($160) is packed with beautiful edible flowers amidst Whitley Neill Quince Gin and London Essence Bitter Orange & Elderflower Tonic. Two limited-edition cocktails also grace the menu at Foxglove this march. Goldmine ($160) is a mysterious glass of Bulleit Bourbon, Campari, Aperol and sweet vermouth tinted with charcoal and mace tincture, while Brazilian Amazon ($140) is a vodka and elderflower liqueur concoction shaken with cardamom syrup, lemon juice, Thai basil and egg white. 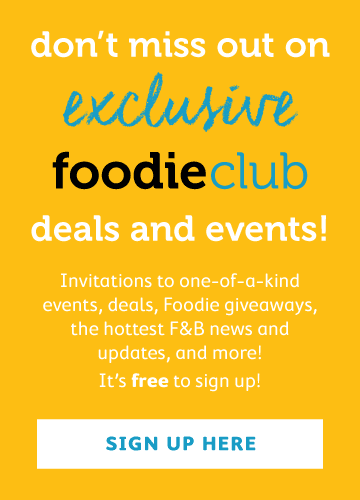 We’ve dedicated an article to this art after-party at Asia Society on the evening of Sunday, 31 March – click here to learn more about the food night market, free-flow drinks, art exhibition and live music on the cards (and book tickets). International art gallery Hauser & Wirth and art-retail group K11 have joined forces to launch this Roth Bar & Grill – which is featured at H&W’s gallery in Somerset, England – pop-up from 25–31 March, combining farm-to-table gastronomy with contemporary art installed salon style. 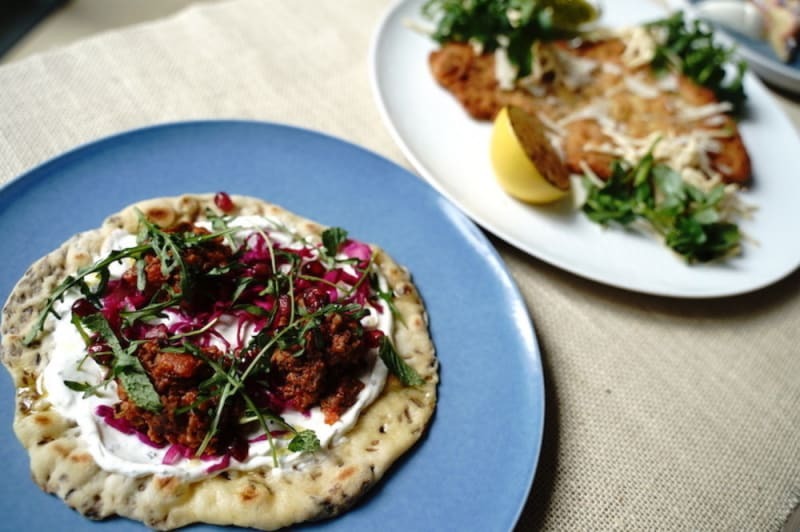 Special dishes cooked up by Roth husband-and-wife chef team Steve and Jules Horrell will include homemade merguez with flatbread, yoghurt and pomegranate, pork Milanese with celeriac remoulade and green sauce and apple croustade with Somerset cider brandy crème fraiche and Somerset Pimm’s. 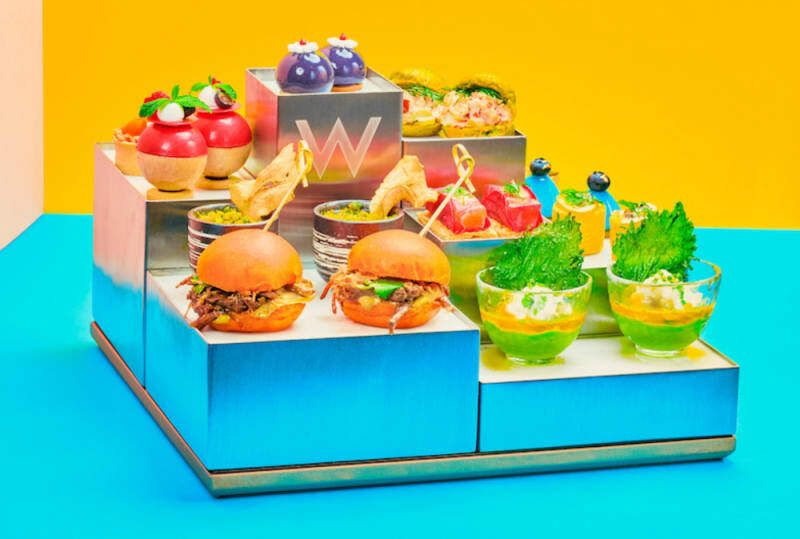 Head to WOOBAR at W Hong Kong for this rainbow-tastic afternoon tea designed by Chef Robert Nilsson. Available until 30 April 2019, 12 multi-hued sweets and savouries feature in this vibrant set – from the Tiffany blue in the dark chocolate mousse pyramid with blueberries to the red of the beetroot-cured salmon millefeuille. Priced at $488/2 on Monday–Friday, 3–5:30pm, and $638/2 (to include 2 glasses of sparkling wine) on weekends and public holidays, 2–5:30pm. 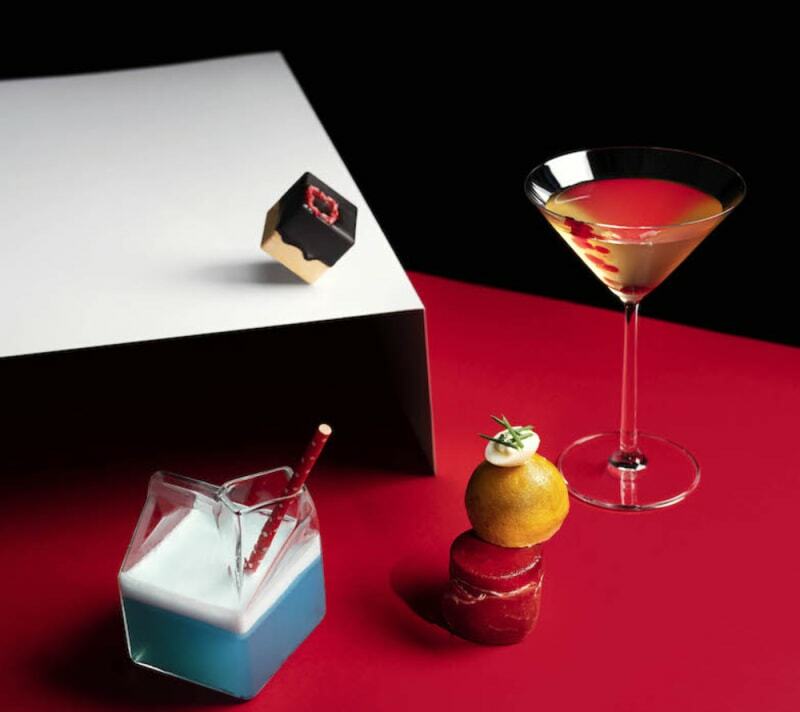 The world’s highest bar, OZONE at The Ritz-Carlton, is marking the 100th anniversary of the Bauhaus art movement with a creative four-dish tapas set ($298), available from 15–31 March. Oscar Mena’s limited-time Bauhuas cocktails ($110 each) are inspired by masters like Josef Albers and Paul Klee. On Friday, 29 March, veteran mixologist Zachary Connor de Git (from the Black Pearl in Melbourne and Singapore’s Tippling Club) will be behind the bar shaking up his signature gin-based drinks. Six contemporary Asian dishes – such as the showstopping beet and raspberry mousse with crushed Sichuan peppercorn (pictured) – are showcased on CÉ LA VI’s colourful Art March menu ($688/person), available until 31 March. There’s also an arty cocktail inspired by French pop artist Richard Orlinksi – Panthère Cobblers ($148), made with rum, homemade kaffir lime syrup, ginger beer and mixed berries. 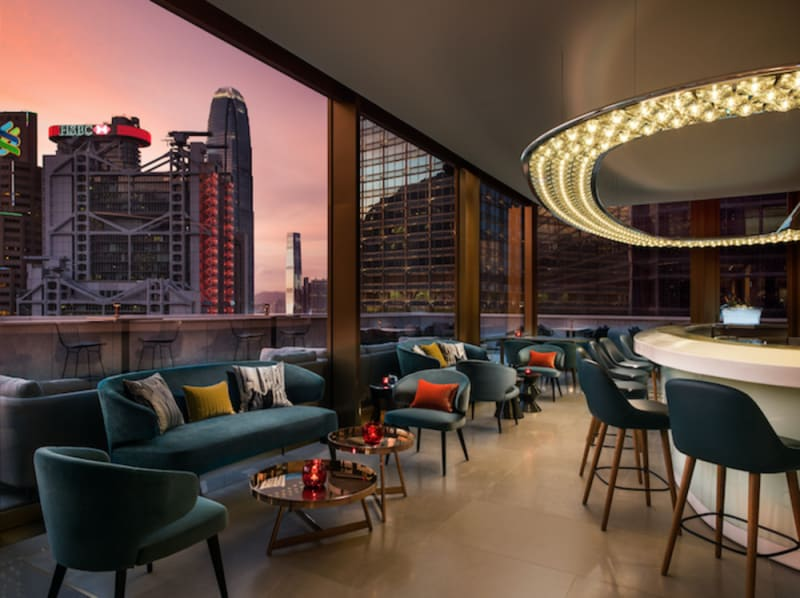 In other art news, the restaurant is hosting an exhibition of international sculptures throughout The Lounge, Sky Deck and restaurant spaces, in association with Opera Gallery Hong Kong. And to end the month on a high, make a beeline for the Arts Month closing party on Saturday, 30 March, featuring a live performance by dance alchemy production group I AM.